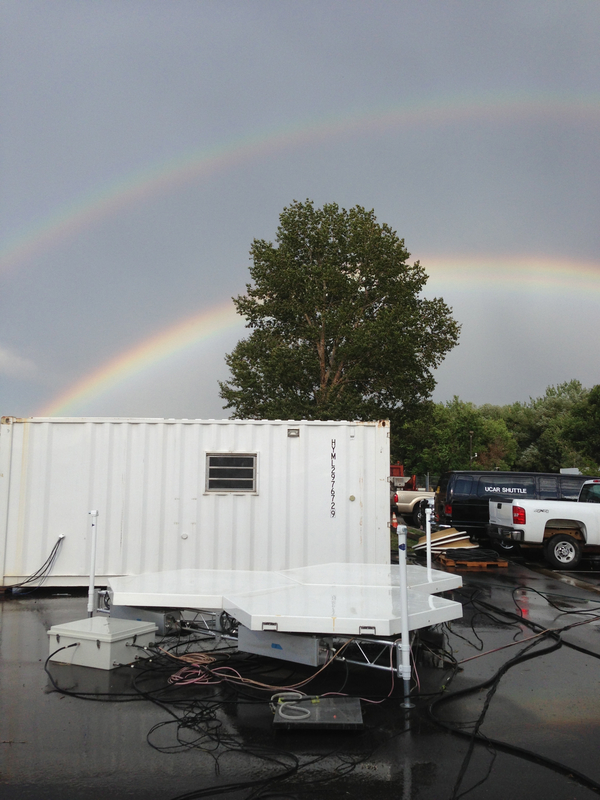 The Modular Wind Profiler is a development in EOL designed to meet wide ranging needs of the meteorological community. The radar operates at 449 MHz and is modular so can be scaled to suite the needs of a particular experiment. The concept uses a set of antenna modules that can be assembled together for a sensitive profiler to measure high into the atmosphere, or can be dispersed to make lower level measurements over a wide area. For example, a basic 3-module system probes the boundary layer; a 7-module system can probe into the mid-troposphere. ; eventually a 19-module system will be able to probe the full troposphere. 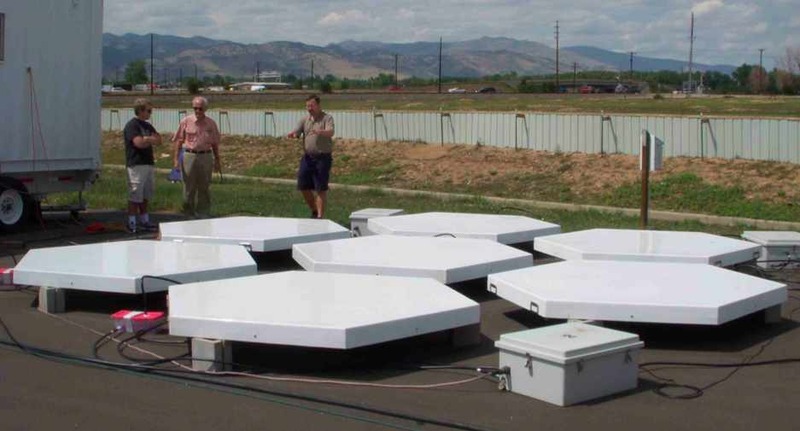 The 449 MHz modular wind profiler developed out of the MAPR (Multiple Antenna Profiler Radar) system, and is capable of making rapid, high resolution measurements of the wind profile of the lower atmosphere. Spaced antenna techniques are used to make rapid wind measurements, enabling a wind profile to be made on time scales of 1 - 5 minutes, as compared to traditional DBS (Doppler Beam Swinging) wind profiler measurements of 10 - 30 minutes. The Modular Profiler is deployed with the Integrated Sounding System (ISS) suite of instruments. We plan to expand the ISS to pair the profiler with instruments such as flux towers to measure the surface energy budget and a mini Doppler lidar to measure near-surface winds in a concept called the MPN (Modular Profiling Network). Mobile 449 MHz profiler: an internal development to construct a truck or trailer based version for rapid deployment or chase operations. RIM (Range IMaging): to improve the range resolution of the profiler using frequency domain interferometry techniues. This a collaborative effort with Prof Phil Chilson of the University of Okalahoma and Dr Hubert Luce of South-Toulon Var University in France. Gabor filtering: to improve filtering of intermittant clutter such as bird echoes. This is a collaborative effort with Dr Volker Lehmann of the Lindenberg Meteorological Observatory, DWD, Germany. We are also working on improvements to our power amplifiers, graphical displays and signal processing. The profiler was initially deveopled with the assistance of Jim Jordan, Warner Ecklund, and Dan Law (all formerly with NOAA).